Directed by Michael J. Bassett (Deathwatch , Solomon Kane) Wilderness is only the second feature film helmed by Bassett. He has stepped up his game with this film. Made for a budget of three million, the film did not make back it’s production cost and only pulled in just over twenty-four thousand pounds. Which is a shame, because it really is quite a good film. 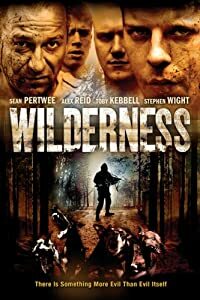 Wilderness opens in a Juvenile Detention Centre aka Prison.Sean Pertwee is prison officer Jed, who is in charge of the young criminals. This disparate group of six lads do not get on well together. Steve (Stephen Wight) is the self proclaimed leader of the boys, his right hand man and enforcer is the hulking but simple Lewis (Luke Neal). Steve makes life miserable for Lindsey (Ben McKay) and Dave (John Travers). Steve especially likes humiliating Dave. A new arrival, Callum (Toby Kebbell) is a tough customer, who is more interested in keeping a low profile, than in challenging Steve for the position of leader. Steve and Lewis’s campaign of hate against Dave intensifies. Dave cannot face the abuse any more, and kills himself. Callum makes the discovery when he slips in a pool of blood and traces it back to Dave’s bed. The alarm is raised and Jed deals with the body. The prison Governor comes in to talk to the boys. He is furious that this has happened. He tells Jed to take the lads to the Island and to work them hard. The island is uninhabited and shared with other prisons who have to book time there. There should only be one group on the island at a time.When Jed and his charges arrive on the island, they begin to set up camp. These are all city lads and they are very uncomfortable camping in the woods. Every noise serves to make the boys nervous and jumpy. They get their campsite set up and spend their first night uneasy and restless. In the morning Callum goes down to a river to get the camp water. On his way back he notices what looks like an animal skull stuck on a stick. After examining it he turns to go and is bashed on the head. He falls to the ground unconscious. Jed gets tired of waiting for Callum to return so he gets the lads together to search for him. They find Callum and Jed decides that he must have tripped and fallen. The inmates spend the rest of the day participating in team building activities. Returning to their camp site, they encounter another camp site. As they are supposed to have the island to them selves they decide to investigate. While Jed is looking into a tent Louise (Alex Reid) shows up and asks Jed what he thinks he is doing. It turns out that the island has been double booked and now has juvenile delinquents from both sexes camping out. After a short discussion, Jed and Louise decide to share the island. Jed and his six lads are to stay on the east side of the river and Louise and her two charges are to stay on the west. Once Jed and the lads return to the camp, he sends them out orienteering. Steve and Lewis find yet another person on the supposedly unhabited island, a hermit. They begin to beat the old man up. Later Callum goes to the same place and finds the hermit with his throat ripped out. While Callum is checking to see if the man is alive, Louise’s two girls see him and go back to tell Louise. Callum goes to a stream to wash his bloody hands. Jed and Louise take Callum down and handcuff him, thinking that he has killed the hermit. The two groups decide to band together and leave the island the next day to contact the authorities. In the morning Jethro goes to collect water for the two groups.When Jethro doesn’t come back Jed sends Blue and Lindsay down to find him. When they get there they discover that Jethro has been killed and hung from a tree. They rush back to the camp and tell everyone about Jethro. Jed immediately starts trying to get everyone organised when he is struck in the chest with a crossbow bolt. He is shot twice more as he slumps down against a tree. While Louise and Callum try to help Jed, attack dogs are running through the woods to the camp. Callum and Louise get away but not poor Jed the dogs savage him to death. In the mad scramble to get away from the dogs, Louise goes missing. The remaining campers now have to keep away from the killer dogs and the mystery person who is shooting the crossbow. They must fight to stay alive and get off the island. Wilderness boasts a splendid cast. Sean Pertwee, dying as usual in the second reel; Alex Reed, no stranger to horror films (The descent) and Toby Kebbell in a role completely different than the character he played just previously in Dead Man’s Shoes. In fact the casting for the film was brilliant. The youngsters playing the prison inmates sounded exactly how they should. They all seem to have come from London and talked in the ‘gangster’ style that juvenile delinquents favour. The cinematography is crisp and makes the most of the location. 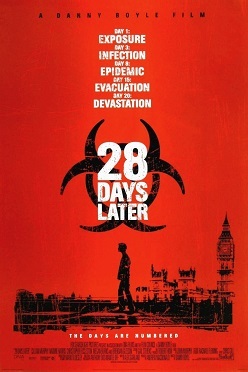 The plot is nothing spectacular, but it kept me guessing until the last minute as to who was killing everyone. I was impressed with Bassett’s second visit to the horror genre. I would recommend this film highly, if for no other reason than to see the excellent performances from the actors. Not to mention the chance to hear what English teen criminals sound like, because they really do talk that way. I know. The Descent is Neil Marshall‘s second foray into the world of horror. Marshall once again wrote and directed the film, which is breathtaking in its execution. Where Marshall’s first film Dog Soldiers featured an almost all male cast (with the exception of Megan and the female camper who is dispatched at the beginning of the film) The Descent is an all female cast (with the exception the main character’s husband, again despatched at the beginning of the film, and some of the creatures in the cavern). It is almost as if Marshall is trying to develop this trend as a sort of trademark to his horror films. The Descent begins with Sarah (Shauna Macdonald), Juno (Natalie Mendoza) and Beth (Alex Reid) white-water rafting. At the end of the rapids are Sarah’s husband Paul (Oliver Milburn) and their daughter Jessica (Molly Kayll) who wave and cheer at the women as they near the shore. Juno stands up in the raft, arms raised and Sarah laughingly pushes Juno out of the raft into the icy water. Sarah and Beth then take the raft to shore. Sarah gets out of the raft and goes to Jessica. Beth secures the raft to a branch, while Paul helps Juno out of the water. As Beth watches Juno and Paul exchange a look, which to us the audience and to Beth, seems to show that they are more than just friends. As Paul drives away from the river with Sarah and Jessica, he appears withdrawn and distracted. When he takes his eyes off the road to talk to Sarah, their car is hit by a mini-van driving towards them. Paul and Jessica both die in the collision. Sarah is hospitalized and goes through a break down moment. Beth is there for her friend, but Juno who has also turned up at the hospital, bursts into tears and leaves without seeing Sarah. One year later, Beth is driving through the Appalachian mountains with Sarah. Juno has booked a caving holiday for Sarah and a group of their friends. The idea is that this will act as a sort of therapy for Sarah. The group are going to stay in a cabin near the Cavern that they will be exploring the next day. Sarah and Beth are going to meet with Juno, Rebecca (Saskia Mulder), Sam (MyAnna Buring who is turning into a Marshall regular) and Holly (Nora-Jane Noone who also appears in Marshall’s Doomsday) at the cabin. After a night of disturbed sleep for Sarah, everyone is up bright and early to begin their descent into the caverns. Juno has a map of the caverns and Holly dismisses the whole idea of the trip as being boring since the cavern is a “tourist” cavern. The only thing missing, Holly states, are the stairs and bannisters. The girls descend into the cave and start going through it. As the group take a break for lunch Juno attempts to apologize for not visiting Sarah when she was in the hospital. Sarah is withdrawn and distant. After lunch, the group proceed further into the cave. They end up going through a very tight space and Sarah gets stuck. Beth helps Sarah through and the space collapses after Sarah gets out. The group now have no way to go back to the entrance. After an angry discussion, Juno admits that they are not exploring a known cave and that no one knows they have not gone to the cave she should have booked. Juno says that she has done this to help Sarah. The girls then decide to push forward and look for another exit. They discover cave paintings and old caving equipment which seems to indicate there is another exit. They again push forward looking for more paintings and equipment as “signposts” to the way out. Holly sees light ahead and thinking they have found the exit rushes forward. One of the other girls shouts out that it can’t be another exit so soon and to slow down. Holly ignores her and takes a nasty tumble, breaking her leg. The girls all climb down to help Holly and put her leg in a splint. While they are giving Holly first aid, Sarah looks around the area they’ve wound up in. She sees someone else in the cave. Thinking them to be more cavers, she shouts for them to help. The other’s in the group are convinced that Sarah, in her stressed state, has been seeing things. As they start to move forward, pasty white creatures attack the group. The group scatters when the creatures attack. Juno attempts to keep them off of the immobile Holly with a climbing pickaxe. At the apex of the fight Beth comes up behind Juno to help. Juno, thinking that Beth is another creature, acts instinctively and plants the pickaxe in Beth’s neck. Out of the six women who entered the cave, Holly has had her throat ripped out and Beth is mortally wounded, the other four are scared and disorganised. The survivors not only have to find their way out of an unknown cave system, but they must also try to stay alive long enough to do so. Neil Marshall has made a true gem here. The film starts with a “heart-in-your-throat” moment. Marshall then proceeds to do everything he can to make us jump and squirm in our seats. Right up until the caver’s meet the creatures in the caverns, the claustrophobic and uncomfortable atmosphere the group was facing had me gasping for breath. Even if they had never met the creatures, just the suspense of getting though the cave was more exciting than what most other horror films have to offer. This is one film that falls into that category of “don’t miss.” Sadly the sequel,which was not done by Marshall, is a pale imitation at best. Although if you saw the original ending of the film, you are probably as confused as I was when I found that a Part 2 was in the mix. Written and directed by Neil Marshall (The Descent, Doomsday, Centurion) Dog Soldiers was Marshall’s first feature length film. It has an impressive cast – Sean Pertwee, Kevin McKidd, Emma Cleasby and Liam Cunningham. The film takes place in Scotland and at the beginning of the film we see a man and woman camping in the Highlands. As they are relaxing in their tent, the woman gives the man (played by Marshall regular Craig Conway) a silver letter opener. Soon after the couple are attacked and we presume killed. The film then moves on to a chase. 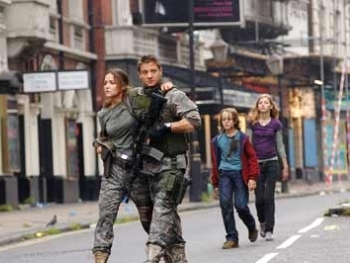 One man Private Cooper (Kevin McKidd) is being chased by a group of soldiers. He is soon caught and taken to the ground. The man leading the chase is Captain Ryan (Liam Cunnigham). After Cooper’s capture, Ryan explains that a dog gave Cooper away. This whole event has been Pvt Cooper’s entrance exam for joining the Special Forces. Captain Ryan tells Cooper that he has done well and that if he wants to be in the Special Forces he has to be ruthless. Ryan then orders Cooper to shoot the dog that gave him away. Cooper refuses and Ryan shoots the dog himself and returns Cooper to his Regular unit. Four weeks later Cooper is out on a night-time exercise in the Scottish Highlands. 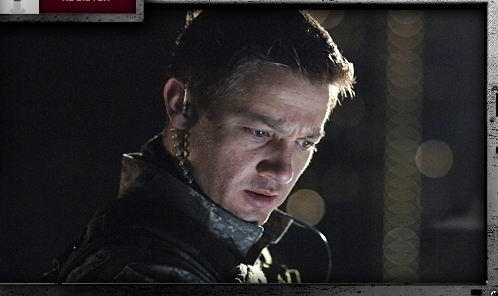 He is part of a six-man squad lead by Sergeant Harry G. Wells (Sean Pertwee). Their mission is to meet up with and train against a squad of Special Forces Soldiers (SAS). When Cooper and the squad find the SAS camp, it has been destroyed and all the occupants killed, except for Coopers “old friend” Captain Ryan. Ryan has been injured. The squad then take Ryan and head for help. While they are moving out, several shapes in the area are moving around the squad. The shapes start attacking and in the rush, one of the squad is impaled on a tree branch and Sergeant Wells is injured. Cooper fights off Wells’ attacker and the remainder of the squad retreat. They then bump into a woman in a Land Rover – Megan (Emma Cleasby) who drives them to a farmhouse. Once inside Megan explains that the things that attacked the soldiers were werewolves. Ryan confirms this, when he finally tells the group that the SAS had been sent there to capture one for research. The group then barricade themselves in the farmhouse and prepare to defend themselves until daylight. This film contains a couple of ‘firsts‘ not least of which is the fact that Sean Pertwee actually makes it to the end of the film. Pertwee is almost always cast as characters who expire dramatically in the first or second reel of a film. He has been: eaten alive, blown up, decapitated, et al. He is the English version of Michael Ironside. This is also the first film to feature, to the best of my knowledge, werewolves and soldiers as adversaries. Marshall moves this film along at a great pace. He has also made an almost perfect blend of the thriller and horror genres. The casting was spot on. As the audience we love Cooper, hate Ryan, and feel for Wells. All the actors in fact do their roles justice. Emma Cleasby as Megan is at turns, appealing, wistful, attractive and finally scary. Watching this film you can see why Marshall is a member of the unofficial “Splat Pack,” a term coined by film historian Alan Jones in Total Film magazine for the modern wave of directors making brutally violent horror films. The film is brutal and it is violent, but it also has it’s fair share of irony and humour. This was Marshall’s first time at bat and he knocked it out of the park. It is plain to see that Marshall has a certain panache when it comes to the genre. His second film, The Descent makes Dog Soldiers look like a walk in the park in comparison. His third film in what I like to call his “Horror Trilogy” Doomsday shows a fine tuning of his skills as a story teller and the calibre of his cast reflects this.